If you live in the state of California, you benefit from Prop. 64 that was passed in November of 2016. Also known as the Adult Use of Marijuana Act, Prop. 64 loosened many of the weed laws in California and exempted medical marijuana patients with state-issued ID cards from existing sales tax. The new laws now make it legal to possess up to one ounce of marijuana and to cultivate up to six plants per resident, though there are still laws against smoking marijuana in public, possessing an open container of marijuana in a vehicle, and possession on school grounds. With the lighter California marijuana laws, many more people feel comfortable turning to this alternative therapy to treat symptoms of chronic pain, sleep disorders, cancer treatments, and anxiety. Those who have researched medical marijuana know that the drug is often more effective and presents fewer side effects than prescription medicines or other mainstream medical treatments. Though you can get a recommendation for medical marijuana from a traditional doctor, it’s more convenient to apply for a medical marijuana card online. You can apply from the comfort of your own home and be approved within minutes. ID cards are valid for a year and are recognized by all members of law enforcement. They enable holders to purchase marijuana at any legal dispensary and also allow them to grow it in their homes for personal use. If you decide to apply for an online medical marijuana card, it’s important to find a reputable online medical marijuana doctor to work with. Here are a few tips on locating a professional doctor that can fulfill your medical marijuana request. Do you have friends, family members, or co-workers who have applied for and received a medical marijuana ID card online? If so, ask them about the doctor they used and what their experience was. Was there information treated with confidentiality? Were all their questions answered? Did they receive their approval and card promptly? If the experience was a good one, you may want to consider using the same doctor. If it wasn’t, you will know to steer clear! By doing a simple search online, you can find online directories that list the legal medical marijuana online doctors in California. Some of these directories may even have reviews or ratings to help you choose legitimate sites that can serve your needs. However, it’s important to do your own research of each site listed before you choose to work with them. 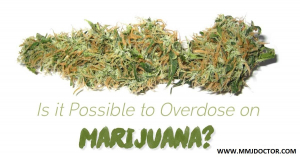 Once you have located several online medical marijuana doctors to choose from, you can ask yourself the following questions about them so you can narrow your choices and settle on the best fit for your needs. Are they licensed? Make sure the medical marijuana doctors on the site are medical board licensed physicians. If it does not state this on the site, ask customer service for the doctors’ credentials. If they hesitate to give them to you, this serves as a red flag and you should look for a different site. Are they available 24/7? If you have questions or need help, it’s comforting to know that the doctors and their staff are available to answer them at any time of day or night. Check to make sure there is a representative from the site available 24/7 to help with any requests or issues. Do they answer all your questions? You may have several questions when applying for your medical marijuana ID card. The customer service representatives working with the doctor should answer your questions quickly and thoroughly. If they don’t get back to you in a reasonable amount of time or are evasive when answering any questions, look for a different site. Are they concerned with your privacy? When choosing a medical marijuana doctor online, confidentiality should be one of your top priorities. Ask if they will make you fill out any incriminating medical marijuana forms and what type of packaging they will send your ID card in. You should also make sure they are HIPAA and ASA certified, which means they have taken steps to keep your private information safe and secure. If your information is not stored in a HIPAA-approved system, you run the risk of having your personal information compromised by hackers. This could include everything from your birthdate and social security number to your credit card information. Do I still need to pay if I am not approved? In some cases, your medical marijuana ID card will not be approved. If this is the case, it’s important to know if you still need to pay the fee involved. Ask this questions before you apply for your ID card and before you give any online site your credit card or other payment information. Reputable online medical marijuana doctors will not charge you if your ID card is not approved and their customer service representatives should answer all your questions about why you were not approved and the next steps to take. How long is my recommendation good for? Reputable online medical marijuana doctors will be able to give you a recommendation and an ID card that is valid for one year. Make sure you ask this question before you apply for your ID card. If the recommendation is valid for less than a year, it means you will need to re-apply and pay the fee again to renew your recommendation in the next 12 months. Getting your online medical marijuana ID card in the state of California should not be a hassle. If you have a medical condition that can be treated with marijuana, you deserve to have access to the alternative medicine that can improve your quality of life. To find a doctor that can help you with your request, ask around, do some online research, and make sure you ask the above questions before settling on a doctor to handle your request. If you have questions or would like more information on receiving your medical marijuana ID card, please contact us.